A team of Vanderbilt University imaging experts won grants in the first round of the National Institutes of Health’s Human BioMolecular Atlas Program (HuBMAP) funding, aimed at developing an open, global framework to map the adult human body at the level of individual cells. Biochemistry professor Richard Caprioli, director of the Mass Spectrometry Research Center, and Jeff Spraggins, research assistant professor of biochemistry, and their team will receive $1.5 million over two years to build a platform that combines imaging mass spectrometry and other imaging methods to molecularly characterize cells. 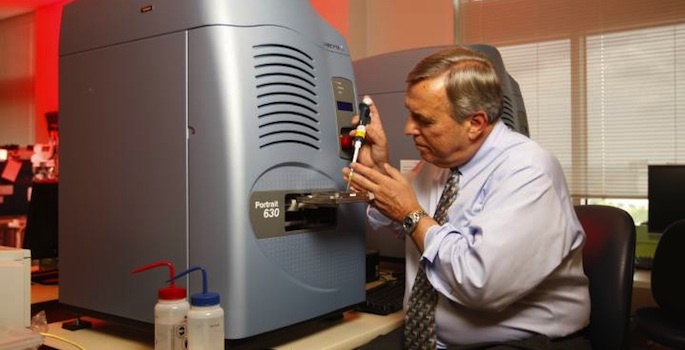 Caprioli developed imaging mass spectrometry, which involves irradiating tissues with a laser in order to spatially map metabolites, lipids and proteins. That’s vital to the HuBMAP effort, which is focused on characterizing how various types of healthy cells behave in different locations within tissue at different points in their lifecycle. 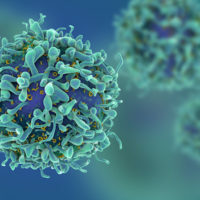 Know what a healthy body looks like at the cellular level, and scientists can begin to address the underlying biology of a number of maladies. The other team members are: Danielle Gutierrez, a research assistant professor affiliated with the Mass Spectrometry Research Center; Ken Lau, assistant professor of cell and developmental biology; Mark deCaestecker, associate professor of medicine, surgery and cell and developmental biology; Raymond Harris, a Vanderbilt University Medical Center nephrologist; and Raf Van de Plas, assistant professor at the Delft University of Technology. HuBMAP is a program of the NIH Common Fund. Common Fund programs address emerging scientific opportunities and high-priority challenges for the NIH. The HuBMAP awards total $54 million over the next four years, pending available funds. Understanding important high-resolution features of cells in tissues remains a challenge. Recently developed technologies, including many supported through NIH programs, allow researchers to explore the organization of large numbers of cells at the individual cell level. While HuBMAP is not anticipated to map the entire body, it will get the work started, providing a framework for more complete mapping and making data available to the research community for further study. He said their work will begin with building a platform to map cells in the kidney and continue on to other organs. coordinate program activities, manage HuBMAP data, and build an atlas of tissue maps. The HuBMAP is managed by a trans-NIH working group and led by staff from the Common Fund; National Heart, Lung, and Blood Institute; National Institute of Biomedical Imaging and Bioengineering; and the National Institute of Diabetes and Digestive and Kidney Diseases.